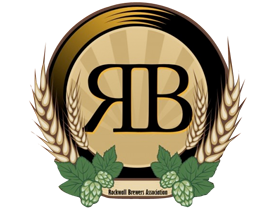 Membership: SCHBA is an informal group with 35 members consisting of brewers and non-brewers who get together to sample, brew beer, and whatever beer related activities we can think of. Location: Southeastern, MA. The central point is probably New Bedford. Mailing Address: No official mailing address. Website/Social Media: http://tinyurl.com/SCHBAS. We use our Facebook group as our primary means of contact within the club. 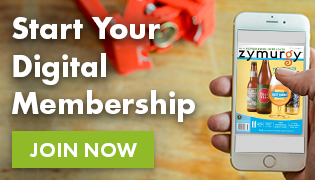 Membership Dues: None. We like to keep it informal. 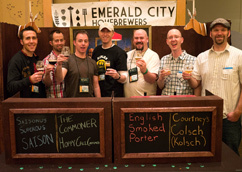 Who we are and how we got started: Greg Pietsch, Scott Schluter (twoifbysea on the forums), and Mark Glinski brewed together and the idea of a group was born. We later adopted our official beer snob Mark Coogan (now converted to beer snob/homebrewer) to give unbiased opinions on our beers. Joe Pacheco joined and shortly thereafter the club president (Greg) moved to Alaska, don’t worry Joe, the events were unrelated! Brewer Jesse Ferugson (AHA member) joined soon after Greg’s exodus. The club expanded with this year’s first group brew event drawing in Jesse Ellis (AHA member, Jivetyrant on the forums) and Declan Halpin as new brewer members with several other brewers interested in joining in for our next event. Our membership includes seasoned brewers with 14+ years of experience all the way to new brewers with less than a year of brewing under their belts. 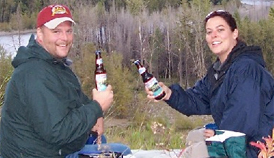 Meetings: No formal meetings, just group events related to brewing or drinking beer when time permits. A monthly meeting at a nearby pub does indeed sound like a great idea, though! There are a ton of breweries in the area, perhaps visiting one per month as a group would be a great way to get together! Other Activities: We have organized a variety of special events, ranging from ingredient workshops to large group brew sessions. 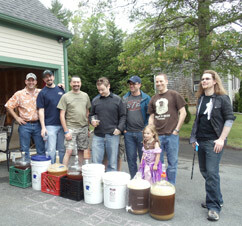 Our most recent event was a Warrior IPA group brew, with each brewer giving the recipe their own individual twist. Some used oddball yeasts, others added non-traditional ingredients, some dry-hopped with various hop types. We’ll be convening again in the coming month or so to share our finished products and discuss the results! Some of the members plan to attend the upcoming AHA rally at the Sam Adam’s brewery in Boston, hopefully we’ll meet some other area brewers there!